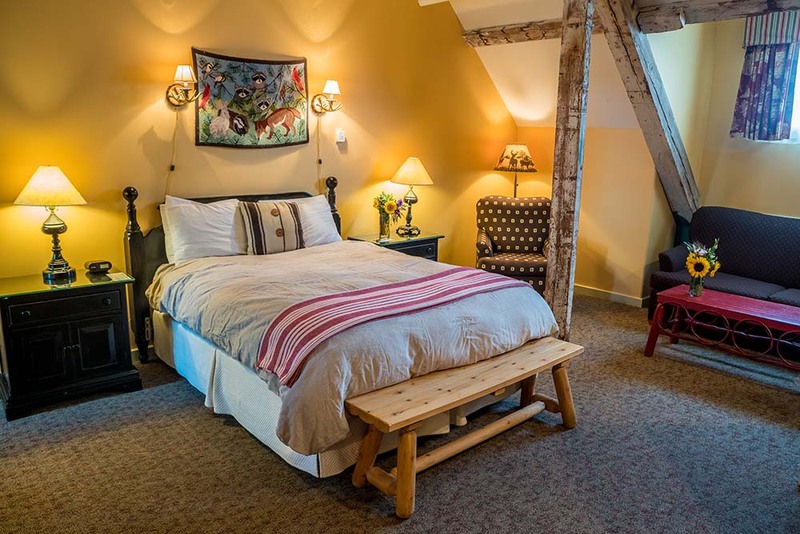 At The Common Man Inn & Spa in Plymouth, carefully crafted birch and cedar furnishings, antique snowshoes, and throws stare back from walls, desks and nooks around our unique rooms. And modern amenities like high-definition TVs, free high-speed Wi-Fi, extra-fluffy pillows, plush feather bed toppers, and more will make you feel right at home. Our 38 comfortable, cabin-inspired rooms provide the feel of a back-to-nature retreat, which means you can snuggle down and relax in rustic luxury. Check out our suite selections below and choose one for an extraordinary stay. *All rates above are exclusive of New Hampshire's 9% rooms and meals tax and a $4 per night housekeeping gratuity. Room based on four adults, loft rooms based on five adults. Each additional guest is 15.00 per person, per night. All rates above are based on 2019 Midweek rates from 1/1/2019 to 6/30/2019. All reservations are subject to availability at time of booking, and all prices are subject to change.